What if your loved one has dementia, a stroke, or other disease and they need care? 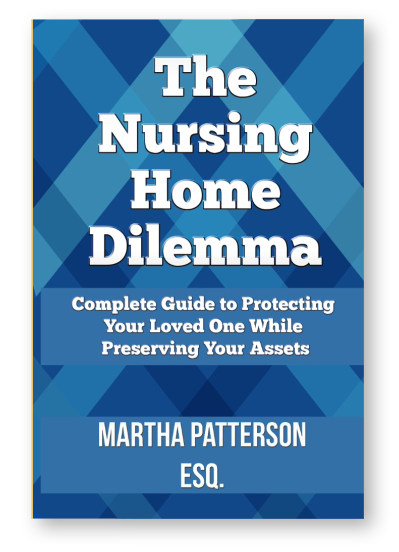 If you are facing that dilemma, Martha will be your trusted guide. I have the experience to help you, both personally and legally. As part of an elite group of attorneys certified as elder law attorneys by the National Elder Law Foundation, Martha Patterson is experienced in wills, trusts, probate, estate planning, trust law, long-term care, Medi-Cal, and veterans’ benefits. 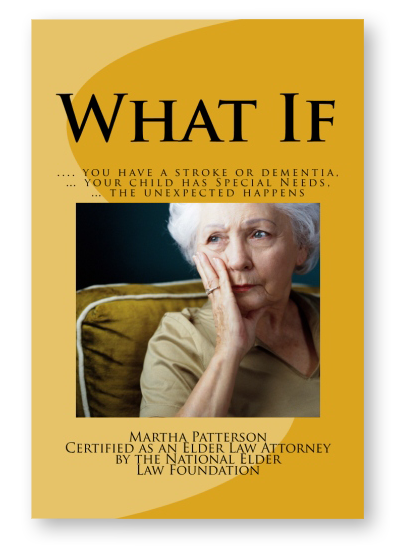 Martha Patterson is certified as an elder law attorney by the National Elder Law Foundation. There are only 32 Attorneys in California with this National Certification, which requires an attorney to prove their legal expertise and extensive experience providing services to clients in all areas of elder law, including trusts, wills, powers of attorney, healthcare directives, disability planning, Medicaid (Medi-Cal), veterans’ benefits, Social Security, Medicare, and retirement benefits. What Our Clients SayCall Us for a Free Consultation!